Investing in your finance career is not just a question of investing money, although that will usually be needed if you intend to further your professional qualifications. Being proactive with your career means having the drive and ambition to reach for those higher level jobs. If you are serious about hitting those career highs then you need to start investing today in order to boost your career progression chances. Within any finance career there are a number of different paths that can be taken. Be flexible with your career options but do set some realistic guidelines and goals. If you need to have professional qualifications to reach your ideal job then start researching your options. Professional qualifications do cost money and commitment to achieve. It may take some shrewd financial planning on your part to set aside the money needed gain these qualifications. Employers will also be investing time and money towards your financial career. Employers will be looking out for employees that are fully dedicating their time within the workplace. Job commitment and dedication goes a long way to ensuring your employers have the right impression of your career commitment. Employers will not want to spend time and money training employees who do not show any company or career commitment. Remember, there are employers who will pay for talented and hardworking employees to sit professional qualifications that will further the employee’s career and enhance their company. If you are serious about investing money to further your finance career then you can apply for a career development loan. Gaining professional qualifications will advance your career and should be reflected by the higher salaried jobs you can apply for. By taking a career development loan you will be able to gain funding immediately and then pay back the loan once you have qualified. This will allow you to study immediately instead of waiting until you have the funds to study. The finance world is continually developing and changing. Investing some of your spare time towards updating your skills and business information knowledge will pay off. Employers will be impressed with employees who follow business changes and are up to date with the latest finance developments. Having this updated knowledge will help when thinking up new business ideas that will improve your company’s productivity levels. You do not have to sacrifice a lot your spare time when reading the latest business magazines and journals, and it should be worth it in the long run. Getting higher up the career ladder is not just about having the appropriate finance skills. There are plenty of other courses that can be taken, and knowing your strengths and weaknesses will help identify the areas that could use some attention. There are courses that deal with management skills, communications skills and IT skills. Many international companies will value employees that speak foreign languages so consider taking night classes if these skills will help you progress within your career. Networking is an important way to gain inside information regarding job vacancies and business opportunities. At the end of the day you may just feel like going home, but networking with colleagues and clients in a social setting can be beneficial. Socialising with colleagues and clients helps to build better business relationships and is a useful way of gaining information. It’s true to say that many job offers and business deals are conducted on the golf course, so this may be another skill to brush up on. 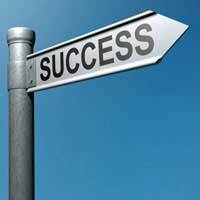 Having a successful finance career is a combination of many factors. Successful employees know the importance of continually developing both their work skills and business knowledge. Astute financial planning will be required in order to continually develop professional qualifications, and good networking skills are very useful. Investing your spare time towards developing your finance career should pay off in the long run and will increase your chances of career progression.